Incoming ... LOUD and Clear! 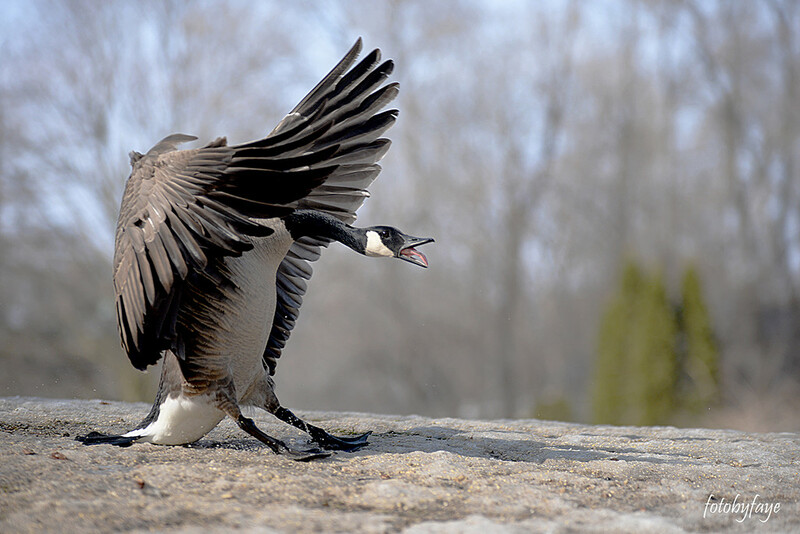 The Canada Goose is never quiet when it is announcing it's arrival. I guess it just wants everyone to know that it is back from it's winter vacation. Oh my this soooo cool! Absolutely favtastic! What a great capture. You can almost hear the goose just looking at the photo. Very cool. Fantastic capture! Put the brakes on and announced his arrival - perfectly timed shot. Wow! Excellent timing and capture...fav. A really awesome action shot! Amazing action shot of my favourite bird! Absolute brilliant shot !!! Love it!! !